Although not yet mainstream, some brands are experimenting with the use of VR in their marketing to create personalized and more engaging experiences for their customers. By the end of 2017, the combined total of VR software and hardware from Sony, Oculus, HTC, and others to reached 5.1 million units. That’s over a 75% increase from 2016. By 2020, the number of VR headsets sold is predicted to reach 82 million — a 1507% increase from 2017 predicted totals. What does this mean for you? If not already, VR is on the horizon for you as a marketer. Why? VR is incredibly powerful because it allows the user to get up close and personal with certain products – like test drive a car, or experience a resort. 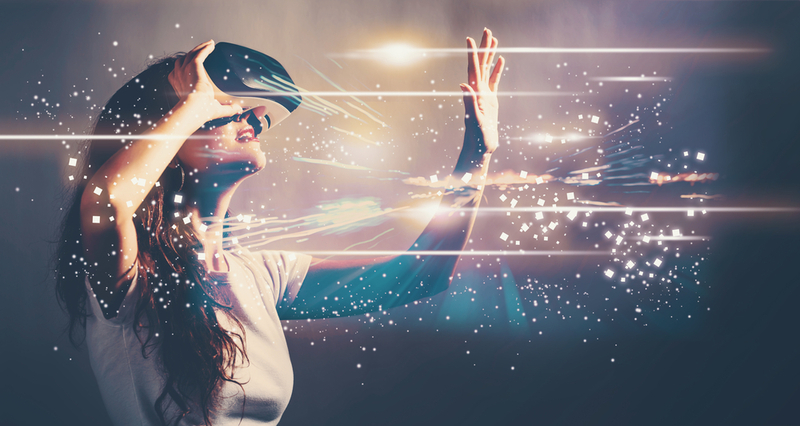 From an advertising perspective, VR can be used to improve buyer awareness, speed the purchasing process, and offer a personalized experience. In addition, think of the advertising opportunities. Virtual reality users are a captive audience. They are fully immersed in the experience, and they aren’t going to remove their headset until the experience is done. Not even if an ad shows up. For marketers – this is incredible. With ads done well, the opportunity to improve the VR experience with advertising is unique. Mainstream consumer adoption of the technology is key to VR becoming widely used as a marketing tool. But even before that time, now is the time for marketers to begin brainstorming innovative ways their brands can incorporate this technology into their marketing mix.